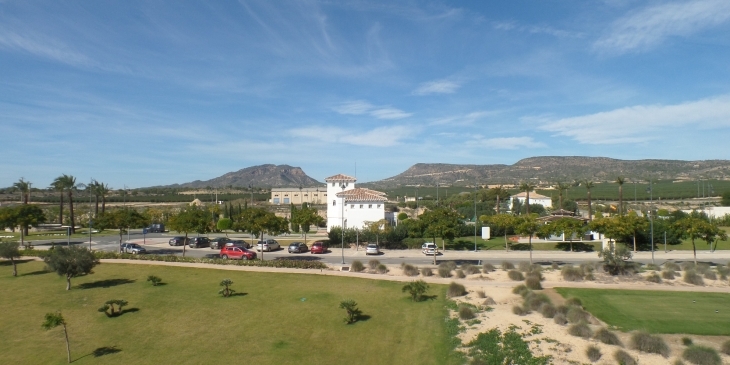 Luxury 2 Bedroom 1 Bathroom Apartment With Views Overlooking The Golf Course. The Apartment Is Situated Within Easy Reach Of The On Site Facilities Such As Bar, Restaurant, Supermarket Etc. The Resort Boast One Of The Best Golf Courses In The Region And Is Often Used To Stage Major Professional Tournaments. The Resort Also Has Children’s Play Areas, Sports Area Such As 5 Aside Football, Tennis, Racket Ball, Boules. The Village Of Sucina Is Just A Short Walk Away And Has A Wide Range Of Bars And Restaurants. Outdoors The resort boast a 18 hole Nicklaus designed golf course. Clubhouse facilities, Bars, Restaurant, supermarket. The village of Sucina with over 10 bars and restaurants is just a 5 minute drive from the resort. Many blue flag beaches within easy reach.